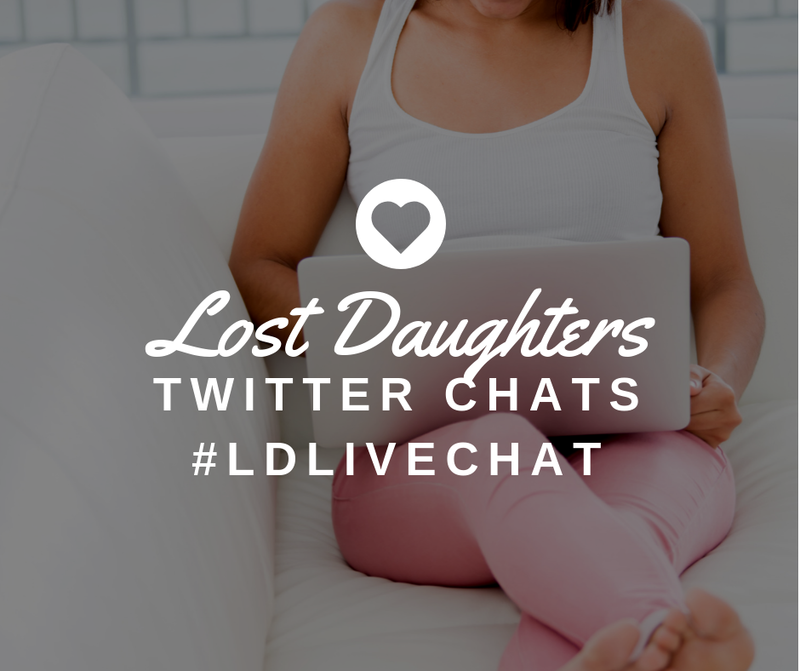 The prompt: In what way, if any, has your experience as an adoptee affected the way you parent? Does your adoptedness impact your children and/or your relationship with them? When you consider the choices you have made or might make in the future regarding reproduction, does adoptedness play a role? Stephanie Kripa Cooper-Lewter I definitely think adoptedness plays a role in how I parent ... I see it everyday. 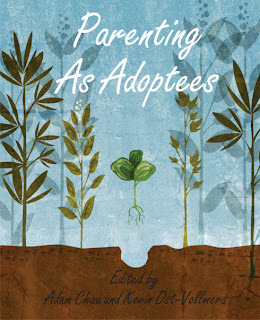 Here is a link to the book Parenting As Adoptees -- some beautiful perspectives. My daughter and I wrote a chapter entitled "Beautiful." I think there is a definite need for continued conversation and writing on this from our varied perspectives. Mila I can say without a doubt that my parenting is profoundly influenced by my experiences growing up as an adoptee, both in overt and covert ways, and both in positive and negative ways. I fear projecting too much of my experiences of rejection onto my children while simultaneously fearing that my children will feel rejected by me, particularly emotionally. My experiences of race as a transracial adoptee also inform my parenting since our children are biracial. I grew up in a family that was oblivious to racism and one that still generally denies that I have been affected by growing up as an Asian in predominantly White communities. My husband and I are making sure to raise our children with an awareness of their race and how the world will respond to them. We are also trying to instill confidence and a sense of pride regarding their Korean heritage. Of course, this presents complications as a transracial, transnational adoptee because I obviously did not grow up with any exposure or knowledge to Korean culture or people. But I am determined to empower our children all the more because I was not. 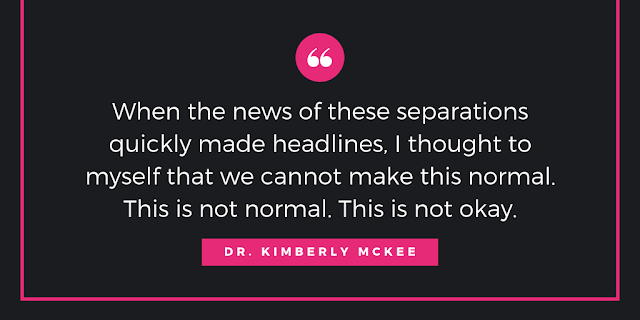 Regarding my fear of my children feeling rejected by me -- I think this fear has the potential to lead to some borderline unhealthy parenting behaviors if I do not keep them in check. You know how they talk about young children experiencing separation anxiety as a part of normal development during early childhood? Well, I experience separation anxiety as a parent, due to my experiences as an adoptee. 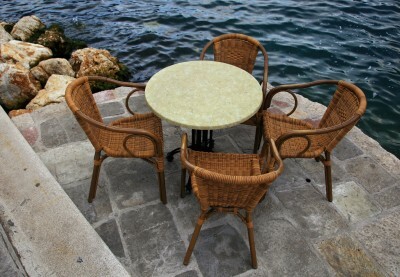 I fear that being separated from my children will result in them feeling rejected by me. This emotional aspect of my parenting is very difficult to overcome. It is a profound anxiety. However, the good side to this is that I am very sensitive to their emotions and both my husband and I focus on teaching them how to understand and express their emotions in a healthy, productive, confident way. Because I was taught that my emotions were bad, that I could not feel complex emotions about being adopted or otherwise, I have a deep conviction about equipping our children with the abilities to embrace and appreciate their emotions. Also, our son is SOOOO much like I am. He's basically my emotional mini-me. As an adoptee, this has been a profound experience -- seeing myself in our son, and it compels me to parent him in the ways that I did not receive. Most parents can relate to this idea. But I think as an adoptee, it can be so much more complicated and surprising and confusing and wonderful simply because we never experienced that biological connection growing up. You revel in it as much as you grieve over what you realize you lost. 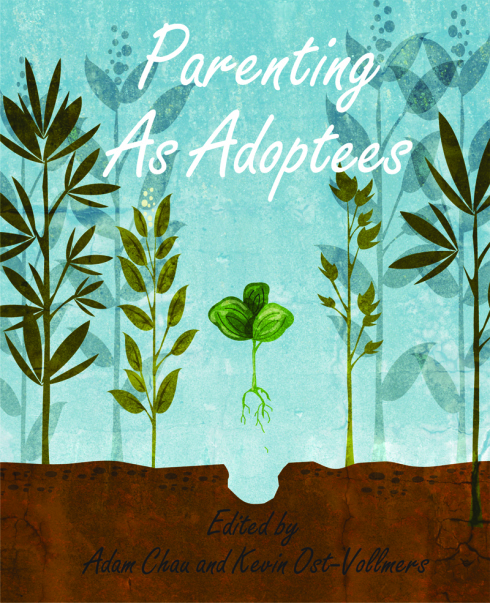 Parenting as an adoptee has thus far been an incredibly emotionally enlightening experience and one that is constantly influenced by my adoption journey. Also as a reunited adoptee, my parenting of our children regarding their Korean family and origins is very complicated and requires much thought, particularly because my adoptive family is not accepting of my Korean family or origins. I have to learn to reconcile these differences, so that we can raise our children with the wisdom to know how to understand and reconcile the dissonance that exists. I also feel VERY protective of my children emotionally because of how unprotected I felt emotionally as a child. I also feel protective of their uniqueness. Our son is clearly a very different kind of boy. As an adopted person who grew up feeling so much shame and rejection for being so different within my family and within the communities in which we lived, I want to teach our children not to feel ashamed of the ways that they are different. Rather I want them to feel empowered and proud of the ways in which they are different. This obviously requires me to overcome my own shame and discomfort regarding my sense of self. Rosita Initially, my parenting could be considered a product of my parents’ experiences (both successes and mistakes), but I think that applies to just about any parenting. As our society evolves so do we as parents. I learned from my adoptive parents, but what they couldn’t teach me was my racial identity. I learned to be resilient as a transracial adoptee in a rural Tennessee town, but that experience also prompted me to protect my own children from the ignorance and narrow-mindedness I faced as a child. When my husband and I started planning to have a family, I made it very clear that I wanted our children to live in an ethnically diverse community. This was the voice of a naive mother. I quickly discovered that I could never fully protect them. My guiding force, my adoptive mother, died just nine months after my first child was born. So, I do feel rather lost. While she was not fully equipped to help me with my race, she could certainly have been able to comfort my children as she did me. I mourn that fact alone as I often see my daughter wish for her grandmother, a woman who would call just about every day. Women need women and the perspectives of the past. My racial identity (http://mothermade.blogspot.com/.../slow-to-see-myself.html) is still evolving, but my children have become the catalyst to my discovery. They question their biological, cultural history and their racial relevance, things I feel inadequate addressing. Their awakening is coinciding with my own. 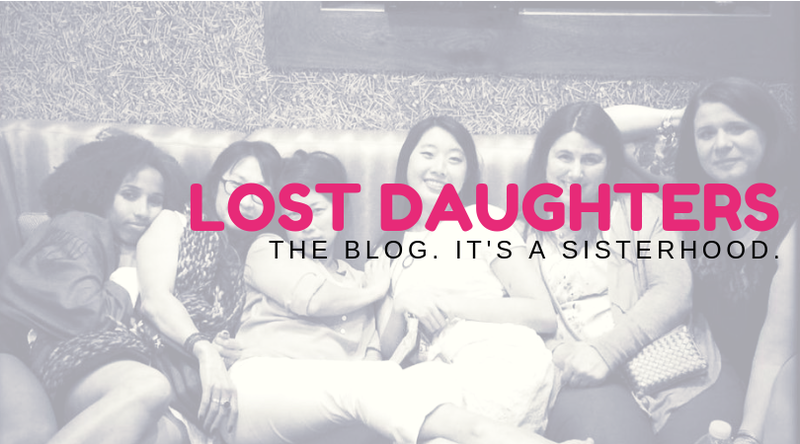 I have sought Korean surrogates, culture camps (http://mothermade.blogspot.com/2013/07/our-independence.html) and a network of Korean adoptees to help me find my way and theirs. I also find myself unable to navigate the mixed race element. I have one child who is obviously Korean but who wishes he were white and unnoticeable. On the flip side, I have a child who looks like her white father. I was thankful for this because I believed she would be spared the ridicule. But she sometimes feels outside the race conversations I have with my son (http://mothermade.blogspot.com/.../the-misguided-guide.html). She wishes she could look more like me and be noticed as an Asian American. All I can do is love them as I was loved, hold them tight, listen intently to their voices, respect their reservations and seek the answers we all want to know. Peach Having my son awakened my heart to recognize and cherish the mother/child bond I lost as an adoptee. He is the only biological relative I have had the privilege of living every day family life with, and I feel so blessed. To love this deeply taps into the primal fear of loss (especially after having to leave him in the NICU every night for four months), and I have to work constantly to let go of it, and enjoy every precious moment. Lynne What Peach said resonates because my son is the only biological relative I've ever lived with. He is 19 now and I'm so proud of the man he has become. He is loving, caring and open. The talks we have warm my heart because he is not afraid to bring to me subjects that most would think of as off-limits, which is something my a-mom and I never had. I have parented my daughter (age 8) in a way that values who she came out of the womb to be -- not who I want her to be. This is the opposite of how I was parented. It was expected that I would be like my a-mom and I don't want my daughter to feel that pressure to be like me, unless she chooses to. Some of the ways she is like me is that she is creative, and is pokey in the morning and is sensitive. Luck of the genetic pool! My being adopted has affected my son. He met his biological grandmother one time on a trip when he was a freshman in high school. He just recently learned his ethnic background on my side, which of course, affects him. He appears to take all these things in stride, but it is an unusual scenario as compared to his friends. Anything I learn about my own family background, affects him and his future children -- whether it be new medical history, a breakthrough on the family tree, or new family members. Christina If anything, being adopted by the people I was has taught me what kind of mother I DON'T want to be. I'm much more lenient with my kids, and yet, am able to discipline them effectively without them fearing me. I've learned that unconditional love is possible and that it's okay to make mistakes as long as your kids know that you are trying to be the best mother you can. Deanna Shrodes I believe we can learn something from every person, and of course our parents, whether bio and adoptive are at the top of the list. I have learned from all of mine everything I want to be AND not be. As a child and as an adult, I have been under the tutelage, carefully observing things I want to incorporate into my parenting, or not. Sometimes people teach us much more of what NOT to do than to do. And I think that's okay. As long as we learn and then do better, because of what we now know by example.